If you would like to experience a historic part of Los Angeles, then the best place that you can visit is Olvera Street in Downtown Los Angeles. Olvera Street is included in the El Pueblo de Los Angeles Historic Monument and is the oldest part of Downtown LA. Come and walk the very streets that Los Angeles’ early inhabitants walked and got a feel for the culture that Los Angeles grew out of. Enjoy authentic Mexican food and browse through the various vendors selling fun arts and crafts. And the best thing is, visiting the street is completely free! If you’re still deciding where to stay in downtown Los Angeles, look for something near Olvera Street. This historical hotspot is located in the heart of downtown across from Union Station at 125 Paseo de la Plaza, Los Angeles, 90012. 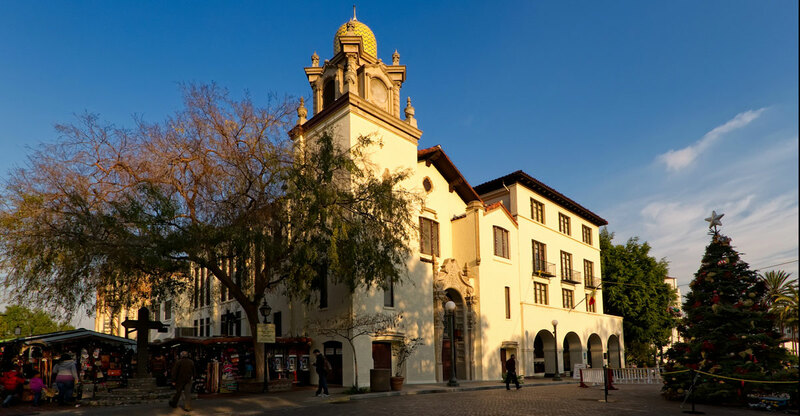 Olvera Street is open Mondays through Sundays from 10 am – 7 pm. The city of Los Angeles was founded in 1781 by a small number of families and Spanish soldiers. Under Mexican rule, as the town expanded, they created a plaza in the center of town. In 1877 they named the square Olvera Street in honor of the first superior judge in Los Angeles. Over 100 years later, Olvera Street has still maintained its Mexican tradition, and both tourists and locals alike enjoy the marketplace. Travel back in time as you walk the narrow stone path while enjoying the vendors selling a variety of things. You can find authentic leather goods such as belts and purses, candles, imported crafts, some colorful souvenirs such as handmade flutes and other trinkets, traditional Mexican clothing items, hand-painted posters, and much more! In addition to enjoying the festive decorations and looking through souvenirs, you can also find authentic Mexican food! At these restaurants, you’ll be sure to see all the traditional Mexican foods such as tacos, rice, beans, burritos, tamales and more! Don’t forget to get a few churros along with horchata, a delicious, sweet drink.